From a young age, outside voices such as school dress codes and harsh comments from peer groups influence how girls feel about their appearance. While girls today are strong and resilient, these comments still have a negative impact on her self-esteem and make her less likely to participate in things like trying out for sports or raising her hand in class. It’s time for her to hear something different. Dove and Shonda Rhimes have teamed up to launch the Girl Collective, a multigenerational sisterhood created to build confidence and challenge beauty stereotypes through honest, authentic and practical conversations shared between women and girls. The Girl Collective is powered by the Dove Self Esteem Project which has been hosting self-esteem workshops in schools and providing at-home self-esteem materials and exercises since 2004. Now, with the Girl Collective, these self-esteem experiences from Dove can continue to spread and support girls and women everywhere. 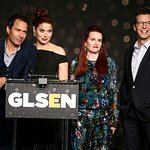 Inaugural members of the group include Shonda Rhimes, Musician SZA, Transgender Activist Jazz Jennings, intimate apparel brand Aerie, Viral Dance Group Syncopated Ladies, and many more powerful and inspiring voices. 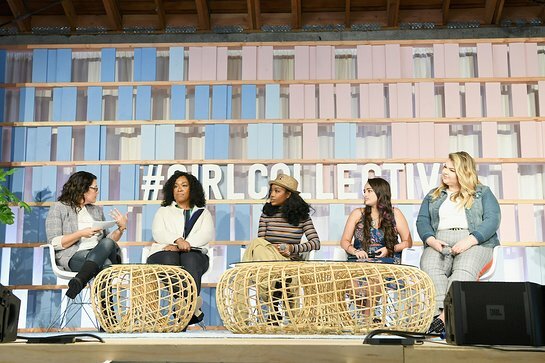 Dove marked the launch of Girl Collective with an electrifying super-event in Los Angeles on Saturday, October 6 – the largest convening of its kind in the brand’s history. Hundreds of women and girls attended a series of powerful social conversations inspiring everyone to take action to raise self-esteem, all powered by Dove Self-Esteem Project accredited curriculum. More Like Me: Chief Storyteller Shonda Rhimes participated in a stimulating panel with powerful young women about expanding representation. Shonda urged women and girls to remember they are the main character of their own story, encouraging them to claim their power and begin defining beauty for themselves. Skin Deep: Musician SZA and Dove Self-Esteem Educator Dre Brown explored the relationship our culture and ethnicity play in defining our beauty identities. SZA encouraged girls to create their own beauty standards rather than subscribe to someone else’s. Girl Redefined: Transgender Activist Jazz Jennings joined Sexuality & Relationship expert Dr. Logan Levkoff to challenge ideas of gender, beauty and femininity to create new appreciation for and acceptance of beauty that is fluid. Through examples of her own journey, Jazz’s helped the collective understand that they have the power to create their own reality. From “the Gram” to the Ground: With a shared mission of helping girls develop a positive relationship with the way they look, Aerie teamed up with Dove to join Girl Collective along with #AerieReal ambassador and former Fashion Editor Lauren Chan and provide actionable ways girls can be body positive champions in their schools and communities. Check out more inspiring highlights, including the full panel discussion, from the Dove Girl Collective event here.